Unlike many online sellers our munchy dog chews are sold in competitively priced bulk packs, that are not always available online or from your local pet shop as they prefer to sell them individually at a much higher price. Our bulk packs of high quality munchy dog chews are 100% natural, made from ground rawhide and starch, they are high in protein and low in fat and great value for money, when compared to our competitors allowing you to reward your dog more often without worrying about the cost! Munchy dog chews, such as rolls, bones, sticks and kebabs encourage harmless chewing and relief boredom and can be given to your dog to reward good behaviour. Regular chewing of either rawhide or munchy chews can also help improve dental health by scraping away plaque, reducing tartar build up and strengthen your dogs gums, as well as reduce bad breath as food deposits are removed around the teeth when your dog chews and should also help reduce the risk of dental problems. Providing your dog with a variety of toys and munchy dog chews will also encourage them to chew only those items given to them and not for instance your furniture! Please visit the other pages of this website for Rawhide Dog Chews, Bones, Twists, Cigars, Smoked Bones, Pigs Ears & Tripe Sticks that will also help to prevent plaque build up and gum disease, while providing exercise for your dog's gums and muscles. 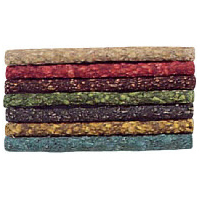 Munchy Dog Chews: 5 stars out of 5 based on 8 user reviews. Great quality and love the price only £1 for 100 they have a vanilla smell too which is very pleasant. They are for small dogs and it’s the first time I’ve used them very pleased with them bought 20 and got free delivery and will be back for more when needed. It be the first place I will go to when I am looking for anything I need for my two dogs. Great bags and best price I could find anywhere. I can't seem to find these in the shops anymore so really pleased you still sell them, great product and fantastic service. Thank you. Our Yorkie loves these bones but I couldn't find them in any of our local supermarkets so I was very relived when I found them on Valupets. We have now ordered twice from Valupets and highly recommend the prompt and efficient service. My English Bull Terrier has enjoyed these munchy bones for literally years and he loves them. He is almost 14 now and still has one after breakfast and life would not be the same without them. I panicked when I could no longer find them in 'any' super market or pet store and so when I found them on ValuPets I was very relieved. I always order a multi-pack of 5 which means that I get free delivery too! One very happy customer and pet Bullie!! Charlotte (Old English Sheepdog) loves these bones. I found the same problem as previous reviewer - supermarkets have stopped selling them. I have now ordered two lots from Valupets and highly recommend the prompt and efficient service. 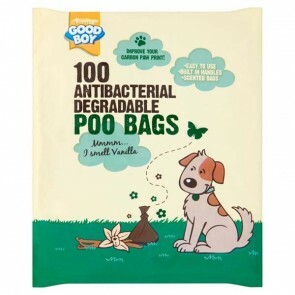 My Bernese mountain dog love these, but for some reason the supermarkets have stopped selling them and have been very pleased with the quick delivery - price and packaging... Will certainly be using them again and have forwarded their site to friends and family.